The TOA F Series Ceiling Speaker is ideal for music and paging applications such as audio/visual, business music or retail sound systems. 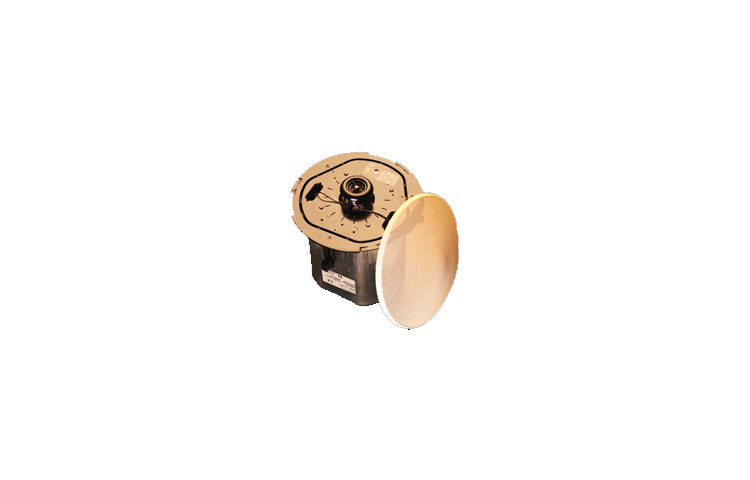 For premium wide-dispersion performance, the F-122CU is a 5 full-range processed ceiling speaker, UL1480/2043-Listed for Fire Protective, General Purpose Signaling and Air-Handling Spaces. Other full-range models include the F-2322C with 5 full-range driver and the ultra-compact F-1522SC with 4 full-range driver. Two-way co-axial models include the F-2852C with 6.5 cone driver, the F-2352C with 5 cone driver and the economy F-2352SC with 5 cone driver. Each model has a special diffusor with built-in dome tweeter for superior co-axial performance. The F-122CU, F-2322C, and F-2852C all include integral metal back-cans with safety cable, quick-mount hardware and removable Phoenix-style connectors with loop-through points for adjacent speakers. Built-in overload protection circuitry ensures outstanding reliability. All models include built-in multi-tap transformers with 8/16 ohm direct modes, front baffle power tap selection and double-locking, paintable grilles. Accessories include HY-TB1 tile bridge rails, HY-TR1 trim ring and HY-BC1 surface back-can. The F Series ceiling speakers are individually packaged and backed with a five year warranty. F-122CU2, F-2322CU2, F-2352CU2 and F-2852CU2 are now packaged as two speakers and two tile bridges, all in one box. The new tile bridges allow simpler and faster installation, ordering convenience and lower shipping costs. Existing TOA mounting C-rings and trim rings will continue to be available for installations that do not require tile bridges.